The How-To’s and What-Not’s of Support Groups. Find a homeschool support group. Is a homeschooling support group for you? Help for home school support group leaders online and off. List of place names especially for those on mobile devices. … more countries Is a Support Group for You? How to start up a homeschool support group in your area. How to maintain a support group when conflict occurs. If you can’t find homeschool support in your city, you can find it online or create your own online homeschool community. Share your homeschooling plans on the web. Planning that successful used book fair, graduation, or other special event for your homeschool group. Some say we should call it carschooling as we learn on the go, visiting historic sites, science and art museums, civic monuments, and more. Not always held in the summer, many take advantage of lovely fall weather and uncrowded camping areas. Many homeschool associations and support groups also hold camps for members. Mini-schools are springing up among homeschoolers all over the world. Reaching out to inform others in your community about homeschooling and getting community support. Are you the one who spends a lot of time online, subscribing to email lists, web surfing or building websites, posting regularly to message boards, and/or hosting chats, and maybe writing articles and books? SecularHomeschool.com has two ways for you to locate secular or inclusive homeschool support groups near you! Support and encouragement via social networks for those in homeschool support group leadership roles, especially online. How to advise families who want to homeschool in a non-English speaking country. The most trusted source on becoming a better leader. 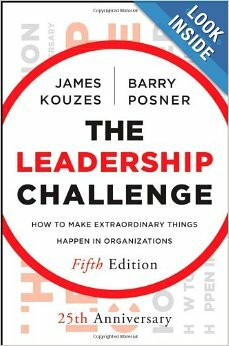 Based on Kouzes and Posner’s extensive research, this all-new edition casts their enduring work in context for today’s world, proving how leadership is a relationship that must be nurtured, and most importantly, that it can be learned. Co-op: A group of homeschooling parents that voluntarily unite together to educate their children. Come in all shapes and sizes. As homeschooling grows so do homeschooling organizations such as homeschool co-ops. 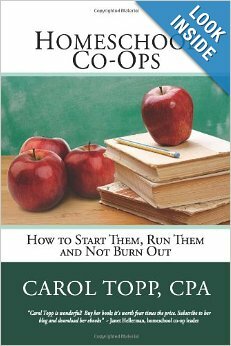 Now homeschool leaders have a book to guide them through starting a co-op, running it and not burning out! In this book you’ll find: Pros and cons of being in a homeschool co-op. How to start a co-op including running your first planning meeting Ideas for classes and activities for all ages Helpful advice on dealing with volunteers, setting policies, managing money and handling conflict. •Sample forms and examples of financial statements in clear English are provided. •Also covered are using Quickbooks, collecting fees, creating a budget, preventing fraud, insurance, and hiring paid teachers. 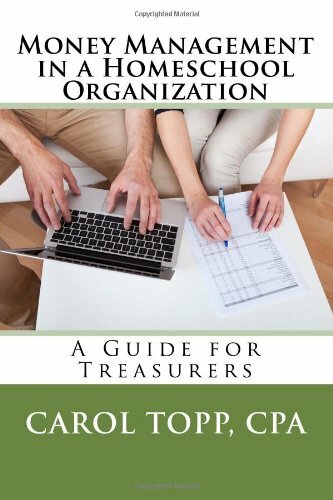 •All written specifically for homeschool groups.